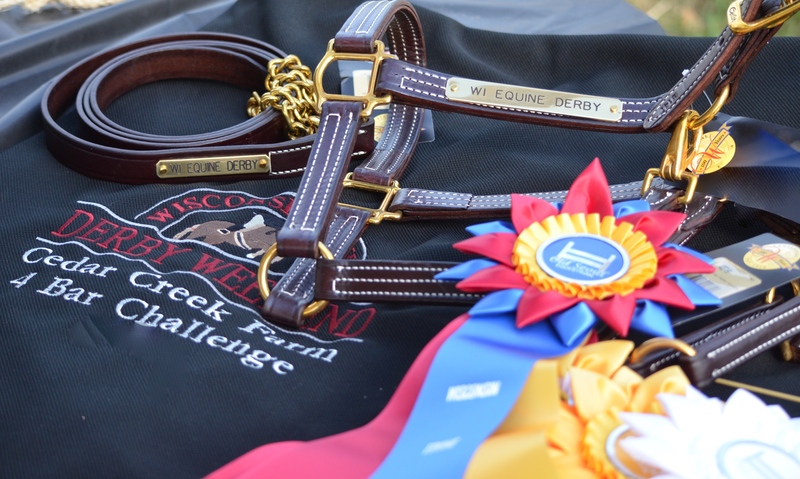 West Bend, WI – July 23, 2016 – Old Seoul Equestrian and Courtney Hayden-Fromm are pleased to host the 4th annual Wisconsin Equine Derby Weekend, August 19-21, 2016 at the Washington County Fairgrounds in West Bend, Wisconsin. The weekend is filled with education, great competition and top-notch hospitality thanks to great sponsors. 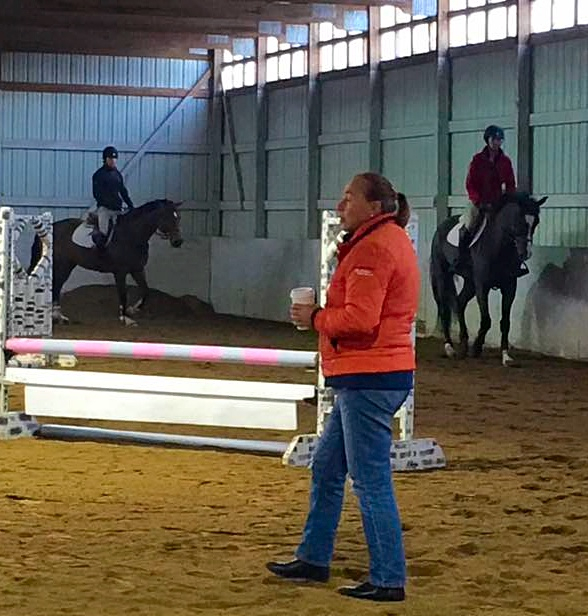 Friday begins with clinic sessions with trainer Teri Knowlton for the jumper riders and John McQueen for the hunter riders. Knowlton grew up with horses at her family's, Tucson Equestrian Center in Tucson AZ. She showed successfully on the USEF “A” Circuit in the Hunters, Jumpers and Equitation. Upon completion of her junior years, Teri was an accomplished horsewoman and immediately found a career as a professional horse trainer. Teri continues to ride, train and manage Windcrest Farm, Elizabeth, CO. Her current clients travel throughout the US showing the “A” Circuit with stops in Wellington, Tennessee, Santa Fe and then back home to Colorado. Teri has coached many riders to National success from the ponies to the Grand Prix Ring including Rachel Baker, Tyson Ziebarth and Alex Granato just to name a few. Most recently, she coached Lynsey Whitacre and Barillo W to the top spot of 4 High Junior/ Amateur Jumper Classics in 2015 and Reserve Champion High Amateur Jumper in Zone 7. 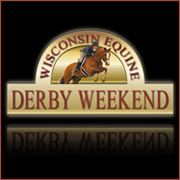 Teri enjoys working with horses and their riders at every level and is excited to meet everyone at the 2016 Wisconsin Equine Derby Weekend! John McQueen began his professional career as a horseman in 1981; he is based out of Calhoun, LA. He ran a very successful hunter/jumper training facility, Foxbriar Farms, from 1981 until 2011. McQueen and his team campaigned horses and riders to State, Regional and National awards. 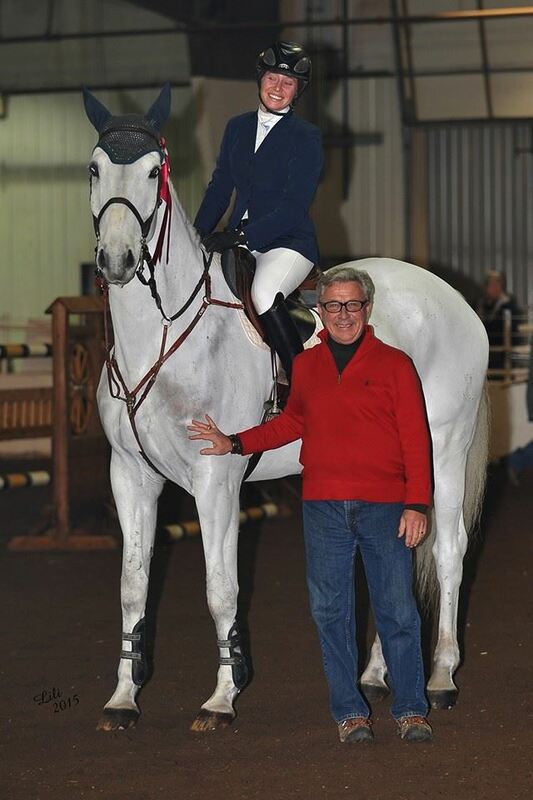 In 1992, McQueen became a USEF “R” Judge, he has enjoyed the good fortune of judging all over the United States and Canada at some of the most prestigious and respected venues. He is currently President of Queenie Productions LLC, who produces and manages 15 - 20 USEF “A” rated horse shows annually across the country. His well-rounded horsemanship and judge’s point of view will be an asset to all the riders in his sessions. Friday evening continues with the Cedar Creek Equestrian 4 Bar Challenge and Sal’s Pizza Party sponsored by Antares Sellier. 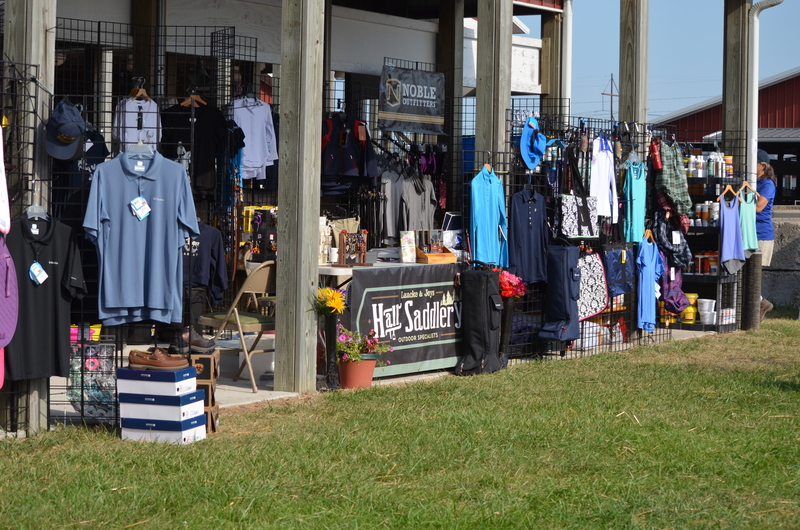 Saturday is a full day of hunter derbies including the $500 Hall Saddlery 2’3” Hunter Derby, the $500 Le Cheval 2’6” Hunter Derby and the $1,000 Hope Memorial 3’ Hunter Derby. 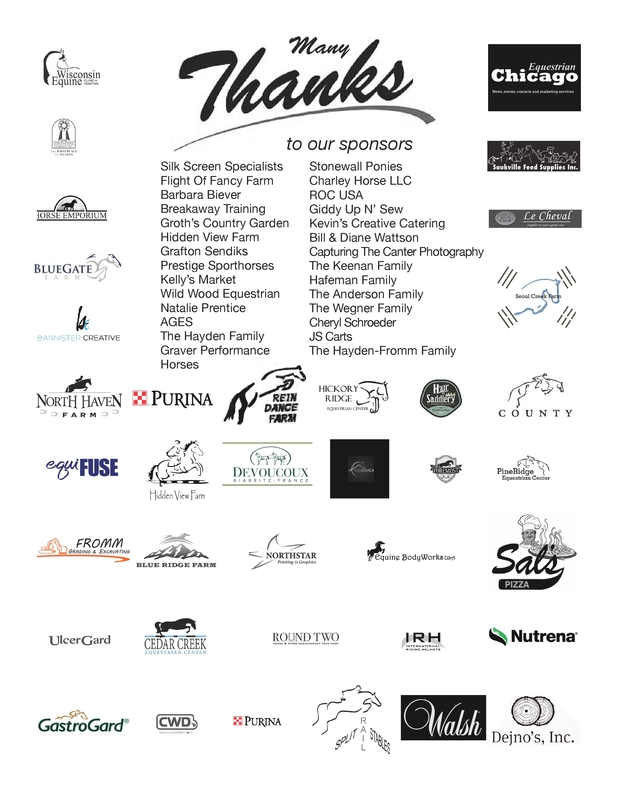 Saturday evening brings the special Jumper Sweepstakes and Wisconsin Equine Clinic Exhibitor Party with cocktails sponsored by Manchester Farms. 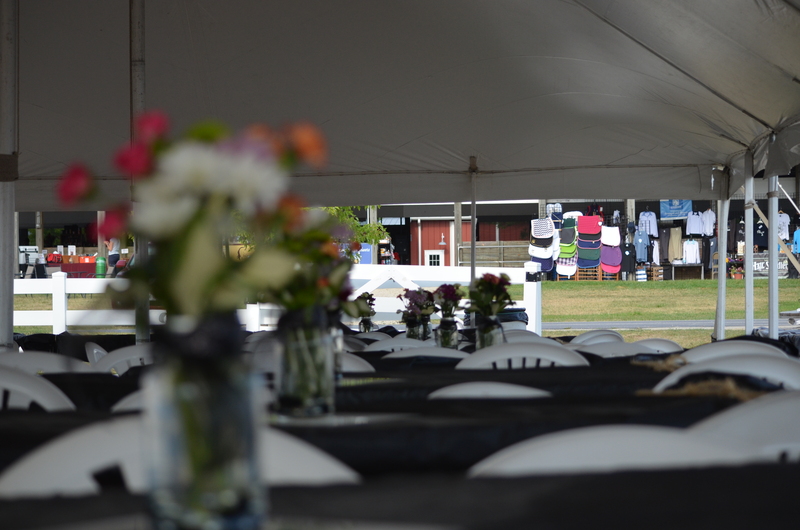 The evening features a Calcutta for hunter teams and jumper riders to benefit the charity, Healing Haven. The event includes fantastic hospitality and shopping. Healing Haven of Wisconsin and Lisa Wenger make the process of choosing, fitting and acquiring wigs possible for cancer patients of all ages. Real hair wigs are surprisingly expensive! With your support, we can help cancer patients be a little less self-conscious, feel a bit more comfortable in their own skin and show our support that there is always a “village” pulling for their recovery. The live auctioneer is sure to make it an exciting evening. Sunday features the Ulcerguard/Gastroguard brunch and Hidden View Bloody Mary and Mimosa Bar during the new Barbara Biever Memorial Equitation Challenge. Biever was a lifelong horsewoman; she grew up with ranch horses on her parent’s farm in Crivitz, Wisconsin and enjoyed sharing her passion for horses with her daughter, Helen. Biever and her husband, Paul, successfully ran the community favorite, Milwaukee Spring Horse Show for over 20 years. Biever was instrumental in starting the Wisconsin Equestrian Center Hunter/Jumper Show in DePere, which earned the prestigious USHJA Members Choice Award in 2014. She was a longtime supporter of the local member hunter/jumper circuit in Wisconsin and she has sponsored the Leadline Class at the Wisconsin Equine Derby Weekend since the very first year. The day continues with Jumper derby day, including the $1000 Blue Gate Farm 1.10m Jumper Derby, the $1000 Split Rail Stables 1.0m Jumper Derby, the $500 North Haven Farm .85m Jumper Derby and the $500 Blue Ridge Farm .75m Jumper Derby. Great awards and special prizes will be awarded throughout the weekend. Join in on the fun! Want more than just the weekend? Come for the Sweet Summertime Show August 17-18th before the derby, WHJA local member show with USHJA Outreach classes. Prize list for both events available at www.oldseoulequestrian.com or contact Courtney Hayden-Fromm for stall reservations or sponsorships, 414-688-8888 or cshayden@yahoo.com. ROC USA $100 Incentive for the NON - TB with the highest combined Hunter Derby Scores. A FINER THING $100 Incentive for the OTTB with the highest combined Hunter Derby Score. This award is sponsored by Courtney Hayden-Fromm in loving memory of A FINER THING.